IdentoGO by IDEMIA provides a variety of identity-related services nationwide at its safe and convenient locations to help securely capture and transmit electronic fingerprints for verification purposes. Whether it’s for licensing, employment or other verification purposes, additional services are also available, such as identity history checks, fingerprint cars and passport photos. How much does IdentoGO fingerprinting cost? The costs of IdentoGO fingerprinting greatly depends on the reason for your visit as the company offers a variety of services in relation to fingerprinting services. For example, if you were to use IdentoGO for the TSA PreCheck service, then you will only need to pay the membership fee for your TSA PreCheck service and IdentoGO will provide the fingerprints as part of the price from what we read on some Yelp reviews. The same can be said about those who are applying for TWIC® or HAZMAT. Since the company is a government contractor, the fingerprint fees, if you decide to use this company, will be rolled into the membership fee and you will not be charged extra for the fingerprints. However, if you simply need fingerprints for employment purposes and are not part of enrolling in any membership in relation to a government program, then the fingerprint service seems to be in the $10 to $25 per fingerprint range based on the location you choose. For instance, on this Yelp page for the Seattle, Washington location, a disgruntled reviewer noted she had to pay $23 for her fingerprints for her teaching position. Another person on another Yelp thread noted they paid about $10 for their fingerprints and the state received the prints almost instantly when he checked. For the Pennsylvania Department of Education workers, the federal criminal history background check, according to the terms, noted the applicant would pay a $22.60 fee to Identogo as well as a criminal history record. The Texas Board of Nursing, via its criminal background check terms, noted the cost of the fingerprint service would be $10. What kind of fingerprinting does the company provide? 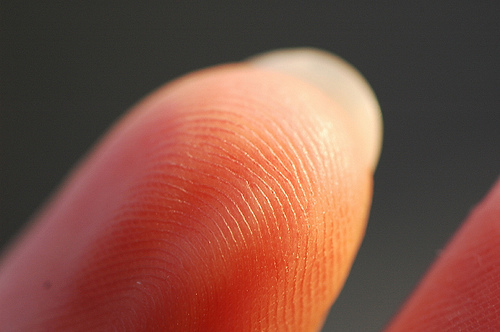 According to the FAQ on the official website, the company provides Live Scan fingerprint services for a variety of programs, including adoption, attorneys, banking, childcare, construction, licensing, education, permits for firearms, financial, healthcare, human services, insurance, management, pharmaceuticals, real estate, social service, state employment and transportation, to name a few. The services do vary by state and this is not a full list of the services that they provide. Follow the link prior to see which services are available at your local IndentoGO center. The Live Scan fingerprinting service captures your fingerprint electronically with the company’s advanced Live Scan machine. With this machine, no ink or card is required since your finger is rolled across a plate and then scanned into a system — a system that is said to be much more accurate than the old ink and roll method. Almost instantaneously, in some cases, the company can then send your fingerprint to the company in question. Instead of weeks, the company notes the fingerprint results can be done in as little as a few days. To find an IdentoGO location, refer to this official search engine on the website. To set an IdentoGO appointment, the company asks you set an online appointment via its online website by selecting a time, date and location that suits your schedule. At some locations, walk-ins may be welcomed, but the appointments will always take priority. If unsure, call or check online to see if your local location offers walk-in appointments.